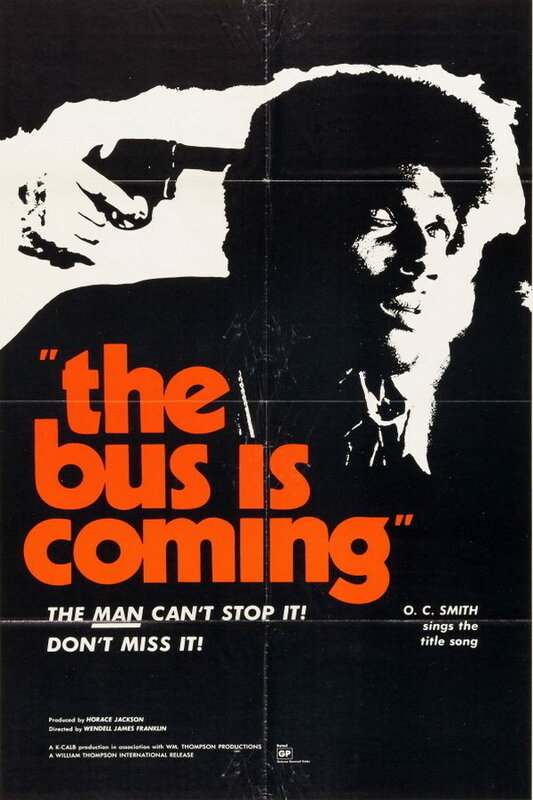 The Bus Is Coming font here refers to the font used in the poster of The Bus is Coming, which is an American drama movie released in 1971. The movie is about the revenge story of a young black soldier, who returns home from Vietnam to find his brother killed by a gang of racist cops. The font used for movie title in the poster is Kabel Black designed by Rudolf Koch in 1928. The font is a commercial one and you can view more details about it here. In addition to The Bus Is Coming, Kabel typeface is also used in the following logos, movie posters or album covers etc., including: The Stooges, James Gang Rides Again, Country Boy Down in New Orleans, Piggly Wiggly, SimAnt, Evil Genius (TV series), Joey, Super Smash Bros., Dumb and Dumber, Dirty Paws, Behind the Green Door, Angus, Thongs and Perfect Snogging, Cold Fact, Petals on the Wind, Monopoly.